***Cold Lonely Courage (Madeleine toche Series Book 2) by Soren Petrek. Price: Free. Genre: Historical Thriller of the Day, Sponsor, War & Military, Action & Adventure. Rated: 4.4 stars on 238 Reviews. 253 pages. ASIN: B00BOATQBO. Reviewers love it: This is a phenomenal book – Easily my favorite in many years! Great Book! Just Read it! This is a must read! This is an incredible story! Historically rich – wonderfully done! Unbelievably terrific read! An exciting, realistic depiction of life during war time! A very good French Resistance WW-II story! *Two Thieves in Deadwood: A Clean Western Mail Order Bride Romance (Brides of the Gold Rush Book 4) by Ellie Gracen. Price: Free. Genre: Victorian Romance of the Day, Sponsor, Clean Western Romance, Westerns. Rated: 4.4 stars on 5 Reviews. 107 pages. ASIN: B00WNLA73O. Reviewers love it: This is a skillfully written tale that will appeal to clean romance lovers! Highly recommended! What a great story full of action and romance! Excitement, tension and romance wrapped into a good story that is perfect to read over your lunch break! I really enjoyed this historical western romance! Excellent $1 Memoirs Deal! Reviewer: Touching, raw and real! What a powerful story! *Forgiveness Unforgettable (Deal, Not Free) by Nikki Lee Brannon. Price: $0.99. Genre: Memoirs Deal of the Day, Sponsor, Nonfiction, Women, Spiritual Growth. Rated: 4.4 stars on 46 Reviews. 145 pages. ASIN: B014E5V1CM. Reviewers love it: This is a must read for anyone who is struggling to overcome any painful situation in their lives! This is a great book and I was deeply touched by every word! I could not put it down! Interesting view of forgiveness when it is not deserved! This book will make you stop and think about how fortunate you were as a child! Touching, raw and real! What a powerful story! Highly recommended! *A Chinese Way of Health – The Importance of Chinese Medicine, Chinese Herbal Formulas & Healing by David Akrish, Teah Akrish. Price: Free. Genre: Herbal Remedies of the Day, Chinese Medicine, Healing. Rated: 5 stars on 3 Reviews. 200 pages. ASIN: B00X8E2F0I. Reviewers love it: If you are looking to improve your overall health and well being I highly recommend this book! The authors are clear, concise, and inspiring! *Dune Devils (Deal, Not Free) by J. A. Hailey. Price: $1.99. Genre: Thriller Deal of the Day, Sponsor, Free for KU, Suspense. Rated: 4.6 stars on 9 Reviews. 636 pages. ASIN: B0156J4YT2. Reviewers love it: What an extraordinary and well written story! It is impossible to put this book down! It was absolutely captivating and fascinating! I am buying this book for all my friends as I am convinced that they will love it as much as I did. This is a book that will shock and disturb and it informs with proof! Loaded with the things we need to know! **The Future Widows’ Club (Bless Her Heart Book 1) by Rhonda Nelson. Price: Free. Genre: Romantic Comedy, NY Times Bestselling Author, Romantic Suspense, Dark Comedy, General Humor, Suspense. Rated: 4.5 stars on 62 Reviews. 340 pages. ASIN: B00IEEJAO6. *A Chinese Way of Health – The Importance of Chinese Medicine, Chinese Herbal Formulas & Healing by David Akrish, Teah Akrish. Price: Free. Genre: Herbal Remedies of the Day, Sponsor, Chinese Medicine, Healing. Rated: 5 stars on 3 Reviews. 200 pages. ASIN: B00X8E2F0I. Reviewers love it: If you are looking to improve your overall health and well being I highly recommend this book! The authors are clear, concise, and inspiring! *Dune Devils (Deal, Not Free) by J. A. Hailey. Price: $1.99. Genre: Thrillers Deal of the Day, Sponsor, Suspense. Rated: 5 stars on 1 Reviews. 636 pages. ASIN: B0156J4YT2. Reviewers love it: What an extraordinary and well written story! It is impossible to put this book down! It was absolutely captivating and fascinating! I am buying this book for all my friends as I am convinced that they will love it as much as I did. This is a book that will shock and disturb and it informs with proof! Loaded with the things we need to know! *Family Secrets (The Witch Haven Chronicles Book 1) by Joseph York. Price: Free. Genre: Suspense Thriller of the Day, Sponsor, Occult, Paranormal, Paranormal & Urban, Vampires, Werewolves & Shifters. Rated: 4.7 stars on 17 Reviews. 274 pages. ASIN: B00CFOK3CY. Reviewers like it: This was definitely much better than I anticipated! Waiting for the next book in the series! This book has you turning page after page and saying NO… when it is finished! I enjoyed it so much and finished it in no time! Great read that kept me glued to the pages and can’t wait for the sequel! Good job Joseph, keep it up! I thoroughly enjoyed every chapter of this book! ***Cousins: An Alpha Bad Boy Romance (Book 1) (Deal, Not Free) by Lisa Lang Blakeney, Marla Esposito. Price: $0.99. Genre: Adult Romance Deal of the Day, Sponsor, Suspense, Romantic Suspense, New Adult & College, Action & Adventure. Rated: 4.8 stars on 108 Reviews. 257 pages. ASIN: B013ZBHTNG. Reviewers: Amazingly written! This one will grab you right from the from the beginning! Highly recommended! This is a great bad boy and good girl book! Loved it so much I read it in a day! Love, love, loved this book! *Two Thieves in Deadwood: A Clean Western Mail Order Bride Romance (Brides of the Gold Rush Book 4) by Ellie Gracen. Price: Free. Genre: Victorian Romance Book of the Day, Sponsor, Western, Westerns. Rated: 4.4 stars on 5 Reviews. 107 pages. ASIN: B00WNLA73O. Reviewers love it: This is a skillfully written tale that will appeal to clean romance lovers! Highly recommended! What a great story full of action and romance! Excitement, tension and romance wrapped into a good story that is perfect to read over your lunch break! I really enjoyed this historical western romance! *My Own Voice (Still Life with Memories Book 1) by Uvi Poznansky. Price: Free. Genre: Literary Fiction Book Of the Day, Sponsor, Alzheimer’s Disease, Domestic Life, Family Life, Contemporary Women, Women’s Fiction, Literary. Rated: 5 stars on 8 Reviews. 150 pages. ASIN: B013TA3FBS. Reviewers love it: This author has the mesmerizing and enchanting effect of drawing her readers into the heart and soul of her characters! This is an excellent and accomplished portrayal of a fascinating and captivating family situation! A richly woven story! A compelling read! I highly recommend this book not just for readers of romance but also for all readers who enjoy a good story and detailed three-dimensional characters! Excellent! *Love’s Gift: 8 Christian Romances Celebrating the True Meaning of Christmas by Krista Phillips, Belle Calhoune, Debra Lynn Collins, Valerie Comer, Christina Coryell, Heather Gray, Elizabeth Maddrey, Lee Tobin McClain. Price: Free. Genre: Christian Romance Box Set of the Day, Collections & Anthologies, Contemporary, Romance, Holidays. Rated: 4.9 stars on 49 Reviews. 770 pages. ASIN: B015YLZ7DO. *KILL ZONE: AN ACTION THRILLER (THE SPECIALIST Book 1) (Deal, Not Free) by Zeke Mitchell. Price: $0.99. Genre: Men’s Adventure + Crime Thriller Deal of the Day, Sponsor, Crime. Rated: 5 stars on 1 Reviews. 167 pages. ASIN: B019H2LZZ0. Matt Thorn is the Specialist: a legend in the black-ops realm, destroying targets with surgical precision, attacking with lethal determination – accomplishing the impossible. Now, Thorn’s mission is to liquidate a Mafia druglord and destroy the Godfather’s deadly heroin pipeline. New Release Deal! **Saving Forever – Part 1: A Romantic Love Story by Lexy Timms, Co. Book Cover by Design. Price: Free. Genre: Contemporary Romance Book of the Day, Sponsor, New Adult & College, Literature & Fiction, Contemporary, Beauty & Fashion, Women’s Fiction, Contemporary Women, Sagas, Family Saga. Rated: 4 stars on 157 Reviews. 170 pages. ASIN: B00HBX7DD6. Reviewers love it: Great book and read! I can’t wait to read more about the characters in the series! I have enjoyed enjoyed reading this series so far and can’t wait for the next one! This is a must read book! great easy reading and continuous story line! I enjoyed reading the book starting from the first one and ended up reading them waiting for more to come out! This was o good book! I enjoyed the story plot and characters! *A Chinese Way Of Health: A Clear Perspective on The Importance of Chinese Medicine, Chinese Herbal Formulas & Healing by David Akrish, Teah Akrish. Price: Free. Genre: Herbal Remedies Book of the Day, Sponsor, Alternative & Holistic, Teen & Young Adult. Rated: 5 stars on 3 Reviews. ASIN: B00X8E2F0I. Reviewers: Very thorough and informative! This is the Go-To guide for living a healthy lifestyle! Definitely recommended! If you are looking to improve your overall wealth and well being, I highly recommend this book for you! The authors are clear, concise and inspiring! *The Cuckoo’s Gift by Anne Steinberg, Anne J. Steinberg. Price: Free. Genre: Women’s Fiction of the Day, Sponsor, Native American, Contemporary, Contemporary Fiction. Rated: 4 stars on 91 Reviews. 250 pages. ASIN: B00J6N0P5C. Reviewers like it: One of the most haunting love stories I have read in years! This is a very intriguing and magical story which grabbed my interest right away and held it until the end! You will be entertained! A great story of love lost and found again! This is a lovely book! This book Grabbed my interest and I had to just keep reading! I cried so much reading this book yet I couldn’t put it down! *The Monmouth Summer (Deal, Not Free) by Tim Vicary. Price: $0.99. Genre: Historical Fiction Deal of the Day, British, Historical Romance. Rated: 4 stars on 144 Reviews. 391 pages. ASIN: B0068G990C. Great historical fiction! I just finished this wonderful book! This sweet story keeps you interested until the end! I would highly recommend this book! I recommend this book for history enthusiasts! If you are looking for a great historical novel, then I suggest that you read this one! Tim Vicary has instantly become one of my favorite authors! ***Cousins: An Alpha Bad Boy Romance (Book 1) (Deal, Not Free) by Lisa Lang Blakeney, Marla Esposito. Price: $0.99. Genre: Adult Romance Deal, Sponsor, Suspense, Romantic Suspense, New Adult & College, Action & Adventure. Rated: 4.8 stars on 108 Reviews. 257 pages. ASIN: B013ZBHTNG. Reviewers: Amazingly written! This one will grab you right from the from the beginning! Highly recommended! This is a great bad boy and good girl book! Loved it so much I read it in a day! Love, love, loved this book! *Two Thieves in Deadwood: A Clean Western Mail Order Bride Romance (Brides of the Gold Rush Book 4) by Ellie Gracen. Price: Free. Genre: Victorian Romance, Sponsor, Clean Western Romance, Westerns. Rated: 4.4 stars on 5 Reviews. 107 pages. ASIN: B00WNLA73O. Reviewers love it: This is a skillfully written tale that will appeal to clean romance lovers! Highly recommended! What a great story full of action and romance! Excitement, tension and romance wrapped into a good story that is perfect to read over your lunch break! I really enjoyed this historical western romance! *The Monmouth Summer (Deal, Not Free) by Tim Vicary. Price: $0.99. Genre: Historical Romance Deal, British, Historical Romance. Rated: 4 stars on 144 Reviews. 391 pages. ASIN: B0068G990C. Great historical fiction! I just finished this wonderful book! This sweet story keeps you interested until the end! I would highly recommend this book! I recommend this book for history enthusiasts! If you are looking for a great historical novel, then I suggest that you read this one! Tim Vicary has instantly become one of my favorite authors! **Saving Forever – Part 1: A Romantic Love Story by Lexy Timms, Co. Book Cover by Design. Price: Free. Genre: Contemporary Romance, Sponsor, New Adult & College, Contemporary, Beauty & Fashion, Women’s Fiction, Contemporary Women, Sagas, Family Saga. Rated: 4 stars on 157 Reviews. 170 pages. ASIN: B00HBX7DD6. Reviewers love it: Great book and read! I can’t wait to read more about the characters in the series! I have enjoyed enjoyed reading this series so far and can’t wait for the next one! This is a must read book! great easy reading and continuous story line! I enjoyed reading the book starting from the first one and ended up reading them waiting for more to come out! This was o good book! I enjoyed the story plot and characters! *The Girl from the North (Pathway of the Chosen Book 1) by Cat Bruno. Price: Free. Genre: Paranormal Romance, Coming of Age, Epic, Sword & Sorcery, Werewolves & Shifters, Witches & Wizards. Rated: 4.8 stars on 23 Reviews. 521 pages. ASIN: B00PHDRA3K. *Deception (Absent Shadows Trilogy Book 3) by S M Spencer. Price: Free. Genre: Paranormal Romance, Vampires, Fantasy, Ghosts. Rated: 4.9 stars on 9 Reviews. 197 pages. ASIN: B00QKRNJQ4. *Degrees of Obsession by Karen Stephen. Price: Free. Genre: Romantic Suspense, Suspense Thriller. Rated: 4.7 stars on 9 Reviews. 348 pages. ASIN: B00D7P7FYY. *Cage of Desire: (Cage of Desire Complete Series Bundle): An Alpha Stepbrother Billionaire Romance by Christina Clark. Price: Free. Genre: Romance, Coming of Age, Anthologies, Collections & Anthologies. Rated: 4.9 stars on 8 Reviews. 278 pages. ASIN: B017HWWOKC. *Queenie of Hearts by Julia Bidwell. Price: Free. Genre: Contemporary Romance, Military, Romantic Comedy. Rated: 5 stars on 5 Reviews. 252 pages. ASIN: B00ZZ2DGQS. 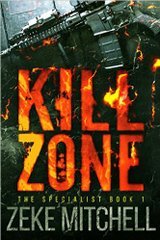 *KILL ZONE: AN ACTION THRILLER (THE SPECIALIST Book 1) (Deal, Not Free) by Zeke Mitchell. Price: $0.99. Genre: Crime Thriller Deal, Sponsor, New Release Deal, Crime. Rated: 5 stars on 1 Reviews. 167 pages. ASIN: B019H2LZZ0. Matt Thorn is the Specialist: a legend in the black-ops realm, destroying targets with surgical precision, attacking with lethal determination – accomplishing the impossible. Now, Thorn’s mission is to liquidate a Mafia druglord and destroy the Godfather’s deadly heroin pipeline. New Release Deal! 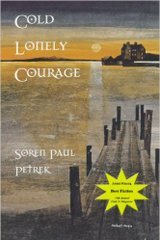 ***Cold Lonely Courage (Madeleine toche Series Book 2) by Soren Petrek. Price: Free. Genre: Historical Thriller, Sponsor, War & Military, Action & Adventure. Rated: 4.4 stars on 238 Reviews. 253 pages. ASIN: B00BOATQBO. Reviewers love it: This is a phenomenal book – Easily my favorite in many years! Great Book! Just Read it! This is a must read! This is an incredible story! Historically rich – wonderfully done! Unbelievably terrific read! An exciting, realistic depiction of life during war time! A very good French Resistance WW-II story! ***Relative Malice by Marla Madison. Price: Free. Genre: Suspense Thriller, Romantic Suspense, Suspense. Rated: 4.5 stars on 141 Reviews. 387 pages. ASIN: B00AZOS6Z2. *Family Secrets (The Witch Haven Chronicles Book 1) by Joseph York. Price: Free. Genre: Suspense Thriller, Sponsor, Occult, Paranormal. Rated: 4.7 stars on 17 Reviews. 274 pages. ASIN: B00CFOK3CY. Reviewers like it: This was definitely much better than I anticipated! Waiting for the next book in the series! This book has you turning page after page and saying NO… when it is finished! I enjoyed it so much and finished it in no time! Great read that kept me glued to the pages and can’t wait for the sequel! Good job Joseph, keep it up! I thoroughly enjoyed every chapter of this book! *A Ghost for Christmas (Destiny Bay Cozy Mysteries Book 1) by J.D. Winters. Price: Free. Genre: Cozy Mystery, Witches & Wizards, Culinary, Animals, Ghosts, Women Sleuths. Rated: 4.3 stars on 99 Reviews. 188 pages. ASIN: B00R9Q4CM0. *Dig Two Graves: Revenge or Honor by Nick Vellis. Price: Free. Genre: International Mystery & Crime, Mystery. Rated: 4.7 stars on 34 Reviews. 369 pages. ASIN: B00HOUD2Y0. *The Virgin Whore Trial: A Holly Park Legal Thriller by Claire Kim, Brad Chisholm. Price: Free. Genre: Thrillers, Legal. Rated: 4.7 stars on 26 Reviews. 293 pages. ASIN: B00THX7S0G. *Average Joe and the Extraordinaires (teen action and adventure) by Belart Wright. Price: Free. Genre: Mystery, Coming of Age, Paranormal & Urban, Men’s Adventure, New Adult & College, Women’s Adventure. Rated: 4.6 stars on 20 Reviews. 347 pages. ASIN: B00R7EMRXA. *The Knight Chronicles – Compilation Edition by John Cassian. Price: Free. Genre: Thriller, Kidnapping, Murder, Serial Killers, Crime. Rated: 4.5 stars on 17 Reviews. 224 pages. ASIN: B00IHS123G. *SNAP (The SNAP Trilogy Book 1) by Tara Dawn. Price: Free. Genre: Psychological Thrillers, Romantic Suspense, Psychological Suspense. Rated: 4.7 stars on 15 Reviews. 253 pages. ASIN: B0181DH1E0. *Descendants of the Rose (The Selby Jensen Paranormal Mysteries Book 1) by Juliette Harper. Price: Free. Genre: Supernatural Mystery, Vampires, Werewolves & Shifters, Women Sleuths, Paranormal & Urban, Ghosts, Witches & Wizards. Rated: 4.6 stars on 14 Reviews. 180 pages. ASIN: B00XA85W3Y. *Fudge Cake, Felony and a Funeral (A Charlotte Denver Cozy Mystery Book 2) by Sherri Bryan. Price: Free. Genre: Cozy Mystery, Animals, Culinary, Women Sleuths. Rated: 4.8 stars on 13 Reviews. 238 pages. ASIN: B010K6KS46. *Blood Stripe: The Susanna Marcasi Chronicles by Gina DiNicolo. Price: Free. Genre: Political Thrillers. Rated: 5 stars on 11 Reviews. 322 pages. ASIN: B01742TW8W. *Forgiveness Unforgettable (Deal, Not Free) by Nikki Lee Brannon, King James Version Bible. Price: $0.99. Genre: Christian Memoirs Deal, Sponsor, Nonfiction, Women, Spiritual Growth. Rated: 4.4 stars on 46 Reviews. 145 pages. ASIN: B014E5V1CM. Reviewers love it: This is a must read for anyone who is struggling to overcome any painful situation in their lives! This is a great book and I was deeply touched by every word! I could not put it down! Interesting view of forgiveness when it is not deserved! This book will make you stop and think about how fortunate you were as a child! Touching, raw and real! What a powerful story! Highly recommended! *Two Thieves in Deadwood: A Clean Western Mail Order Bride Romance (Brides of the Gold Rush Book 4) by Ellie Gracen. Price: Free. Genre: Not Christian Just Clean Victorian Romance, Sponsor, Clean Western Romance, Westerns. Rated: 4.4 stars on 5 Reviews. 107 pages. ASIN: B00WNLA73O. Reviewers love it: This is a skillfully written tale that will appeal to clean romance lovers! Highly recommended! What a great story full of action and romance! Excitement, tension and romance wrapped into a good story that is perfect to read over your lunch break! I really enjoyed this historical western romance! *Love’s Gift: 8 Christian Romances Celebrating the True Meaning of Christmas by Krista Phillips, Belle Calhoune, Debra Lynn Collins, Valerie Comer, Christina Coryell, Heather Gray, Elizabeth Maddrey, Lee Tobin McClain. Price: Free. Genre: Christian Romance, Collections & Anthologies, Contemporary, Romance, Holidays. Rated: 4.9 stars on 49 Reviews. 770 pages. ASIN: B015YLZ7DO. ***The Keeper (Stoney Ridge Seasons Book #1): A Novel by Suzanne Woods Fisher. Price: Free. Genre: Christian Romance, Amish & Mennonite, United States, Amish Inspirational Romance, Contemporary Romance. Rated: 4.7 stars on 410 Reviews. 322 pages. ASIN: B005PQUXD8. ***The Cowboy’s Christmas Plan (Grass Valley Cowboys Book 1) by Shanna Hatfield. Price: Free. Genre: Christian Romance, USA Today Bestselling Author, Western & Frontier, Romance. Rated: 4.6 stars on 367 Reviews. 330 pages. ASIN: B0063XH0KQ. *October Joy (Moments In Paradise Book 1) by Melanie Wilber, Kevin Wilber. Price: Free. Genre: Christian Romance, Literature & Fiction. Rated: 4.5 stars on 27 Reviews. 254 pages. ASIN: B00F7EBUIA. *Mending Hearts (Georgia Graces, Italy Blessings Book 1) by Latanya Wagner. Price: Free. Genre: Christian Romance, Christian Contemporary Romance. Rated: 4.7 stars on 11 Reviews. 172 pages. ASIN: B00B3BTU3I. *That Day, Great and Terrible by Brian Scott. Price: Free. Genre: Christian Mystery, Supernatural. Rated: 4.9 stars on 7 Reviews. 290 pages. ASIN: B017KQTTUS. **Saving the King by George Gomez, Christine Gomez. Price: Free. Genre: Science Fiction, Alternative History, Literature & Fiction, Alternate History, Contemporary Fiction. Rated: 4.8 stars on 135 Reviews. 310 pages. ASIN: B00K5J37EW. Kodiak: Infinity Verge I by DJ Morand. Price: Free. 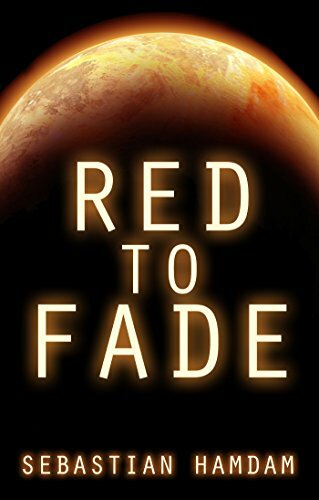 Genre: Science Fiction, Alien Invasion, First Contact, Space Opera. Rated: 4.5 stars on 6 Reviews. 306 pages. ASIN: B017ON9FYW. *Family Secrets (The Witch Haven Chronicles Book 1) by Joseph York. Price: Free. Genre: Fantasy, Sponsor, Occult, Paranormal, Paranormal & Urban Fantasy. Rated: 4.7 stars on 17 Reviews. 274 pages. ASIN: B00CFOK3CY. Reviewers like it: This was definitely much better than I anticipated! Waiting for the next book in the series! This book has you turning page after page and saying NO… when it is finished! I enjoyed it so much and finished it in no time! Great read that kept me glued to the pages and can’t wait for the sequel! Good job Joseph, keep it up! I thoroughly enjoyed every chapter of this book! **First Chosen (Tears of Rage Book 1) by M. Todd Gallowglas. Price: Free. Genre: Dark Fantasy, Coming of Age, Sword & Sorcery, Epic. Rated: 4.5 stars on 75 Reviews. 162 pages. ASIN: B0055I14BG. *No Gods of Conscience (Unlife Legend Book 1) by Jason Bilicic. Price: Free. Genre: Dark Fantasy, Sword & Sorcery. Rated: 4.6 stars on 14 Reviews. 532 pages. ASIN: B00GXPLR4E. *Empire of the Worm: Part One of a Dark Fantasy by Jack Conner. Price: Free. Genre: Dark Fantasy, Greek & Roman, Sword & Sorcery. Rated: 5 stars on 9 Reviews. 160 pages. ASIN: B007MB7BRU. *Theseus & the Mother-in-Law and other Myths & Legends by Ekaterina Botziou. Price: Free. Genre: Mythology, Fairy Tales, Mythology & Folk Tales. Rated: 4.9 stars on 8 Reviews. 197 pages. ASIN: B00NW82LCM. Birth of a Unicorn and Other Stories by Sandra Bell Kirchman, Stephanie Cress, Eric Esteb, Merrianna Mutton, Steven Watts, Brian Tuomi, Suzette Marie Lydick, Joshua Kurtz, Karolina Sefyrin. Price: Free. Genre: Anthologies, Sword & Sorcery, Anthologies & Short Stories. Rated: 4.6 stars on 5 Reviews. 206 pages. ASIN: B0054GR4IQ. *Congregation Of Darkness (Full Moon Series Book 2) by P. Mattern, J.C. Estall, Yosbe Design. Price: Free. Genre: Horror, Occult, Mashups, Contemporary Fiction. Rated: 4.7 stars on 32 Reviews. 424 pages. ASIN: B00CTH1P24. *Charlie (An Aggie Greenwood Story Book 1) by Sarah Parry, Ben Parry. Price: Free. Genre: Horror, Ghosts, Occult. Rated: 4.9 stars on 7 Reviews. 213 pages. ASIN: B00BMZNBU8. ***Cold Lonely Courage (Madeleine toche Series Book 2) by Soren Petrek. Price: Free. Genre: Historical Fiction, Sponsor, WW-II, French Resistance. Rated: 4.4 stars on 238 Reviews. 253 pages. ASIN: B00BOATQBO. Reviewers love it: This is a phenomenal book – Easily my favorite in many years! Great Book! Just Read it! This is a must read! This is an incredible story! Historically rich – wonderfully done! Unbelievably terrific read! An exciting, realistic depiction of life during war time! A very good French Resistance WW-II story! *The Monmouth Summer (Deal, Not Free) by Tim Vicary. Price: $0.99. Genre: Historical Fiction Deal, British. Rated: 4 stars on 144 Reviews. 391 pages. ASIN: B0068G990C. Great historical fiction! I just finished this wonderful book! This sweet story keeps you interested until the end! I would highly recommend this book! I recommend this book for history enthusiasts! If you are looking for a great historical novel, then I suggest that you read this one! Tim Vicary has instantly become one of my favorite authors! *For Love of a Cause: A Historical Novel of War and Romance by Elly Michaels. Price: Free. Genre: Historical Fiction, Military, Historical, Romance. Rated: 4.6 stars on 20 Reviews. 237 pages. ASIN: B00DX6IV0E. *Madam May: A Tale of Madams, Morphine, Moonshine, and Murder by Janet Hogan Chapman Ed.D. Price: Free. Genre: Historical Fiction, Cultural Heritage, Historical Fiction. Rated: 4.7 stars on 13 Reviews. 235 pages. ASIN: B00YWCV8YY. *Ideal Girl: Irish Romance / Medical Romance (Irish Hospital Romance Book 1) by Jenny O’Brien. Price: Free. Genre: YA Romance, Holidays, Medical, Teen & Young Adult. Rated: 5 stars on 6 Reviews. 208 pages. ASIN: B014RQAGVA. DRAMA GEEK by S.M. Dritschilo. Price: Free. Genre: Teen & Young Adult Romance, Contemporary. Rated: 4.8 stars on 5 Reviews. 219 pages. ASIN: B00DX5HLVU. *The Cuckoo’s Gift by Anne Steinberg, Anne J. Steinberg. Price: Free. Genre: YA, Sponsor, Native American, Contemporary, Contemporary Fiction. Rated: 4 stars on 91 Reviews. 250 pages. ASIN: B00J6N0P5C. Reviewers like it: One of the most haunting love stories I have read in years! This is a very intriguing and magical story which grabbed my interest right away and held it until the end! You will be entertained! A great story of love lost and found again! This is a lovely book! This book Grabbed my interest and I had to just keep reading! I cried so much reading this book yet I couldn’t put it down! *Bound to Survive: The Magic Within by Sharon Gibbs, Worlds Beyond Art, Todd Barselow, Barbra Leslie. Price: Free. Genre: YA Fantasy, Coming of Age, Epic, Sword & Sorcery, Metaphysical & Visionary. Rated: 4.5 stars on 37 Reviews. 362 pages. ASIN: B00S6FAU6A. ***Voyage with the Vikings (AIO Imagination Station Books Book 1) by Paul McCusker, Marianne Hering. Price: Free. Genre: Children’s Christian Books, Medieval, Christian. Rated: 4.6 stars on 137 Reviews. 129 pages. ASIN: B007BLOGAG. **Dogs Don’t Look Both Ways: A Primer on Unintended Consequences by Jane Hanser. Price: Free. Genre: Children’s Books, Dogs. Rated: 4.7 stars on 67 Reviews. 162 pages. ASIN: B00JM02DM2. **The Three Feathers – The Magnificent Journey of Joshua Aylong by Stefan Bolz. Price: Free. Genre: Children’s Books, Collections, Fairy Tales, Metaphysical & Visionary, Mythology & Folk Tales, Epic. Rated: 4.7 stars on 57 Reviews. 224 pages. ASIN: B008OYSTK2. ***Cold Lonely Courage (Madeleine toche Series Book 2) by Soren Petrek. Price: Free. Genre: Adventure, Sponsor, War & Military, Action & Adventure. Rated: 4.4 stars on 238 Reviews. 253 pages. ASIN: B00BOATQBO. Reviewers love it: This is a phenomenal book – Easily my favorite in many years! Great Book! Just Read it! This is a must read! This is an incredible story! Historically rich – wonderfully done! Unbelievably terrific read! An exciting, realistic depiction of life during war time! A very good French Resistance WW-II story! *KILL ZONE: AN ACTION THRILLER (THE SPECIALIST Book 1) (Deal, Not Free) by Zeke Mitchell. Price: $0.99. Genre: Adventure Deal, Sponsor, New Release Action. Rated: 5 stars on 1 Reviews. 167 pages. ASIN: B019H2LZZ0. Matt Thorn is the Specialist: a legend in the black-ops realm, destroying targets with surgical precision, attacking with lethal determination – accomplishing the impossible. Now, Thorn’s mission is to liquidate a Mafia druglord and destroy the Godfather’s deadly heroin pipeline. New Release Deal! *The Voyage of Radiance II: A Voyage of Consequence by F.R. Sneathern, Rio, J.D. Davis. Price: Free. Genre: Adventure, Schools & Teaching, Children’s eBooks, Teacher Resources. Rated: 4.9 stars on 7 Reviews. 209 pages. ASIN: B00JZECITI. *The Cuckoo’s Gift by Anne Steinberg, Anne J. Steinberg. Price: Free. Genre: Contemporary Fiction, Sponsor, Native American. Rated: 4 stars on 91 Reviews. 250 pages. ASIN: B00J6N0P5C. Reviewers like it: One of the most haunting love stories I have read in years! This is a very intriguing and magical story which grabbed my interest right away and held it until the end! You will be entertained! A great story of love lost and found again! This is a lovely book! This book Grabbed my interest and I had to just keep reading! I cried so much reading this book yet I couldn’t put it down! *My Own Voice (Still Life with Memories Book 1) by Uvi Poznansky. Price: Free. Genre: Women’s Fiction, Sponsor, Domestic Life, Family Life, Contemporary Women, Women’s Fiction. Rated: 5 stars on 8 Reviews. 150 pages. ASIN: B013TA3FBS. Reviewers love it: This author has the mesmerizing and enchanting effect of drawing her readers into the heart and soul of her characters! This is an excellent and accomplished portrayal of a fascinating and captivating family situation! A richly woven story! A compelling read! I highly recommend this book not just for readers of romance but also for all readers who enjoy a good story and detailed three-dimensional characters! Excellent! *The Cuckoo’s Gift by Anne Steinberg, Anne J. Steinberg. Price: Free. Genre: Women’s Fiction, Sponsor. Rated: 4 stars on 91 Reviews. 250 pages. ASIN: B00J6N0P5C. Reviewers like it: One of the most haunting love stories I have read in years! This is a very intriguing and magical story which grabbed my interest right away and held it until the end! You will be entertained! A great story of love lost and found again! This is a lovely book! This book Grabbed my interest and I had to just keep reading! I cried so much reading this book yet I couldn’t put it down! *Still Torn: When Broken Hearts Collide by Latoya Chandler. Price: Free. Genre: African American Romance, United States. Rated: 5 stars on 23 Reviews. 254 pages. ASIN: B00YNJUXS8. *Dulcet: A Cali Love Story by Myah. Price: Free. Genre: African American Romance, Urban. Rated: 5 stars on 18 Reviews. 197 pages. ASIN: B0182GFLEI. *DETOUR: Hollywood: How To Direct a Microbudget Film (or any film, for that matter) by William Dickerson. Price: Free. Genre: Humor & Satire, Film & Video Art, Direction & Production. Rated: 5 stars on 20 Reviews. 182 pages. ASIN: B00U6XPREK. *Riddle Collection: 300 Best Riddles and Brain Teasers to Feed Your Mind: Tricky Questions, Math Problems, Funny and Classic Riddles, Puzzles, Brain Training and Games For Kids, Improve your Memory by Amanda Byers. Price: Free. Genre: Humor & Satire, Logic & Brain Teasers, Puzzles. Rated: 5 stars on 5 Reviews. 605 pages. ASIN: B016KX5I9I. *Forgiveness Unforgettable (Deal, Not Free) by Nikki Lee Brannon. Price: $0.99. Genre: Memoirs Deal, Sponsor, Nonfiction. Rated: 4.4 stars on 46 Reviews. 145 pages. ASIN: B014E5V1CM. Reviewers love it: This is a must read for anyone who is struggling to overcome any painful situation in their lives! This is a great book and I was deeply touched by every word! I could not put it down! Interesting view of forgiveness when it is not deserved! This book will make you stop and think about how fortunate you were as a child! Touching, raw and real! What a powerful story! Highly recommended! *A Chinese Way Of Health: A Clear Perspective on The Importance of Chinese Medicine, Chinese Herbal Formulas & Healing by David Akrish, Teah Akrish. Price: Free. Genre: Herbal Remedies of the Day, Sponsor, Alternative & Holistic. Rated: 5 stars on 3 Reviews. ASIN: B00X8E2F0I. Reviewers love it: If you are looking to improve your overall health and well being I highly recommend this book! *101 Smoothie Recipes Under 300 Calories: Smoothie Recipes for Weight Loss and Wellbeing by Liz Harper. Price: Free. Genre: Fruits, Beverages & Wine, Non-Alcoholic, Juices & Smoothies. Rated: 4.9 stars on 14 Reviews. 157 pages. ASIN: B00J36OO0O. *(2 Book Bundle) “Paleo Slow Cooker Recipes” and “Paleo For Beginners” (Paleo Diet Recipes) by Karen Douglas. Price: Free. Genre: Natural Foods, Slow Cookers, Paleo, Special Appliances, Slow Cooking. Rated: 4.7 stars on 14 Reviews. 195 pages. ASIN: B00CWUKG0U. Winner Winner Quinoa Dinner: 30 Taste-Tested Quinoa Recipes for Gluten-Free Diets, Vegans, Vegetarians, and The Rest of Us by Evan Frazier. Price: Free. Genre: Rice & Grains, Allergies, Gluten Free, Vegan, Vegetarian, Cookbooks, Food & Wine, Health, Fitness & Dieting. Rated: 4.8 stars on 10 Reviews. 75 pages. ASIN: B00RMCPZRC. *Healthy Popsicles: 60 Dairy Free and Gluten Free Healthy Popsicle Recipes by Liz Harper. Price: Free. Genre: Gluten-Free, Desserts, Gluten Free, Paleo. Rated: 4.8 stars on 9 Reviews. 145 pages. ASIN: B00OHZYBAO. *Forgiveness Unforgettable (Deal, Not Free) by Nikki Lee Brannon, King James Version Bible. Price: $0.99. Genre: Memoirs Deal, Sponsor, Nonfiction, Women, Spiritual Growth. Rated: 4.4 stars on 46 Reviews. 145 pages. ASIN: B014E5V1CM. Reviewers love it: This is a must read for anyone who is struggling to overcome any painful situation in their lives! This is a great book and I was deeply touched by every word! I could not put it down! Interesting view of forgiveness when it is not deserved! This book will make you stop and think about how fortunate you were as a child! Touching, raw and real! What a powerful story! Highly recommended! **Becoming Fearless: My Ongoing Journey of Learning to Trust God by Michelle Aguilar, Jillian Michaels. Price: Free. Genre: Biographies & Memoirs, Women’s Christian Living, Television Performers, Religious, Women, Women’s Issues, Weight Loss, Religion & Spirituality, Christianity. Rated: 4.5 stars on 109 Reviews. 244 pages. ASIN: B007355AHI. A Warrior’s Path – Lessons In Leadership by Robert Trivino. Price: Free. Genre: Biographies & Memoirs, Military, Leadership, Military & Wars, Military & Spies. Rated: 5 stars on 30 Reviews. 246 pages. ASIN: B015JT2SV0. *Knockout: A Manual For Success by Mike Kennedy. Price: Free. Genre: Personal Finance, Success, Personal Success, Self-Help. Rated: 4.9 stars on 17 Reviews. 168 pages. ASIN: B00GQBYPSU. *Ruby Slippers: Fairy Tales My Mother Told Me. Real Life Truths I Never Told Her by Michelle Davis-Newell. Price: Free. Genre: Women’s Personal Growth, Religion & Spirituality, Personal Transformation. Rated: 4.6 stars on 8 Reviews. 190 pages. ASIN: B00CR6V0AY. *Thicket of Opportunity: How Smart Risk-Taking Supercharges Personal Success by Michael J. Smith. Price: Free. Genre: Self-Help, Success. Rated: 5 stars on 5 Reviews. 125 pages. ASIN: B00TY0M7J4. 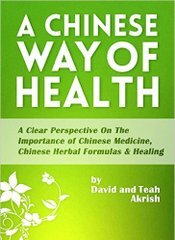 *A Chinese Way Of Health: A Clear Perspective on The Importance of Chinese Medicine, Chinese Herbal Formulas & Healing by David Akrish, Teah Akrish. Price: Free. Genre: How to Be Healthy, Sponsor, Herbal Remedies of the Day, Sponsor, Alternative & Holistic. Rated: 5 stars on 3 Reviews. ASIN: B00X8E2F0I. Reviewers love it: If you are looking to improve your overall health and well being I highly recommend this book! Investing Secrets for a Champagne Life: Get Started Investing In Real Estate, Create Cash Flow With A Passive Income Stream, And Design A Plan For Early Retirement by Cassie Parks. Price: Free. Genre: Buying & Selling Homes, Investments, Investing, Business & Money. Rated: 4.9 stars on 28 Reviews. 85 pages. ASIN: B00UGSXFOO. *Seo 2016: Search Engine Optimization Rank at the Top of Google (SEO 2016, Search Engine Optimization, SEO Books, Seo for Google, How to Rank in Google, Local SEO, Search Engine Traffic) by SEO Optimization Experts. Price: Free. Genre: Online Searching, Search Engine Optimization, Internet, Groupware, & Telecommunications, Web Development & Design, Computers & Technology. Rated: 4.7 stars on 24 Reviews. 113 pages. ASIN: B019F9G3N4. *The Missing Link: 18 Power Tools For Maximizing Time, Productivity And Life by Gilles Côté. Price: Free. Genre: Personal Finance, Time Management, Business & Money, Self-Help, Personal Success. Rated: 4.6 stars on 14 Reviews. 90 pages. ASIN: B00TNK5FAI. *Work Happy: 26 Empowering Tips For Women Entrepreneurs To Stop Stress Now, Supercharge Your Energy And Finally Enjoy Work! (Busy Women Getting The Most Out Of Your Day)) by Ntathu Allen. Price: Free. Genre: Time Management, Women & Business, Business & Money. Rated: 4.9 stars on 13 Reviews. 50 pages. ASIN: B00KWOFGN0. *Facebook Marketing For Business Owners: Social Media Marketing Strategies To Grow Your Business With Facebook (Facebook,Facebook Marketing,Facebook For … Advertising,Social Media Marketing 1) by Mike Vicary. Price: Free. Genre: Entrepreneurship & Small Business, Small Business, Sales & Selling, Small Business & Entrepreneurship, Business & Money. Rated: 4.8 stars on 10 Reviews. 32 pages. ASIN: B00Q1UJ5NG. *Leadership: Lead The Pack: Leadership, Your Guide to Becoming an Alpha Leader, Having Success, and Leading the Pack! (Leadership, Leading, Guidance, Management, Supervision, Command.) by Abaha Saagar. Price: Free. Genre: Leadership, Entrepreneurship, Business & Money. Rated: 5 stars on 7 Reviews. 47 pages. ASIN: B00YVABAUE. *Find It Now! Proven Tips, Tricks & Strategies For Finding Practically Anything Online…Fast! by Gilles Côté. Price: Free. Genre: Schools & Teaching, Computers & Technology, Research. Rated: 5 stars on 6 Reviews. 104 pages. ASIN: B00H59ETOW. *KILL ZONE: AN ACTION THRILLER (THE SPECIALIST Book 1) (Deal, Not Free) by Zeke Mitchell. Cost: $0.99. Genre: Men’s Adventure + Crime Thriller Deal of the Day, Sponsor, Crime. Rated: 5 stars on 1 Reviews. 167 pages. ASIN: B019H2LZZ0. Matt Thorn is the Specialist: a legend in the black-ops realm, destroying targets with surgical precision, attacking with lethal determination – accomplishing the impossible. Now, Thorn’s mission is to liquidate a Mafia druglord and destroy the Godfather’s deadly heroin pipeline. New Release Deal! *The Monmouth Summer (Deal, Not Free) by Tim Vicary. Cost: $0.99. Genre: Historical Fiction Deal, British, Historical Romance. Rated: 4 stars on 144 Reviews. 391 pages. ASIN: B0068G990C. Great historical fiction! I just finished this wonderful book! This sweet story keeps you interested until the end! I would highly recommend this book! I recommend this book for history enthusiasts! If you are looking for a great historical novel, then I suggest that you read this one! Tim Vicary has instantly become one of my favorite authors! *Dune Devils (Deal, Not Free) by J. A. Hailey. Cost: $1.99. Genre: Thriller Deal, Sponsor, Free for KU, Suspense. Rated: 4.6 stars on 9 Reviews. 636 pages. ASIN: B0156J4YT2. Reviewers love it: What an extraordinary and well written story! It is impossible to put this book down! It was absolutely captivating and fascinating! I am buying this book for all my friends as I am convinced that they will love it as much as I did. This is a book that will shock and disturb and it informs with proof! Loaded with the things we need to know! Other Countries &Currently, you’ll have to use amazon.co.uk, which means this Kindle US Email Newsletter. Please Note: This takes you to US, and you have to set your country yourself.